National Gratitude Month is an annual designation observed in November . 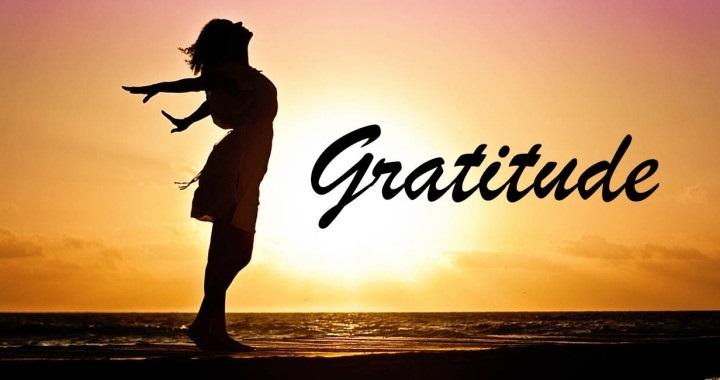 Gratitude is more than simply saying “thank you.” Gratitude’s amazing powers have the ability to shift us from focusing on the negative to appreciating what is positive in our lives. Practicing daily gratitude gives us a deeper connection to ourselves, the world around us and to our Creator. Gratitude for our Sobriety and Recovery is even greater. Everything in our lives has the ability to improve when we are grateful. Research has shown that gratitude can enhance our moods, decrease stress and drastically improve our overall level of health and wellbeing. On average, grateful people tend to have fewer stress related illnesses and experience less depression and lowered blood pressure, they are more physically fit, they are happier, have a higher income, more satisfying personal and professional relationships and will be better liked. Grateful recovery people are more likely to not only stay clean and sober but also live happier lives. So our brains are wired to promote positive responses when we practice gratitude, resulting in better relationships, sleep, health, mood, resilience, happiness, and satisfaction at work and school. With consistent thankfulness, we decrease stress, anxiety, depression and are faster at recovering from trauma. And it’s as easy as jotting down a thought or two a day what you are grateful for on paper, telling people in your life why you appreciate them, and/or focusing on the positive in situations throughout your day. If everyone practiced daily gratitude, we could change ourselves and the planet for the better. Everyone would be much happier. Love would grow and hate would decrease. And the world would know true peace. What are you waiting for? Give gratitude a try! You’ll be happier you did.